the beginning of the New Year. It is a time to pay respect, let off steam and celebrate. 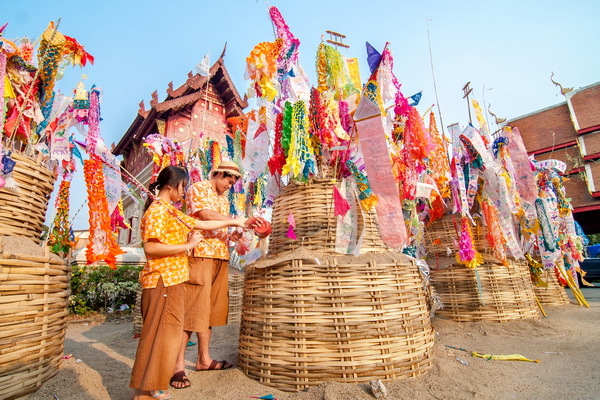 That means you can expect two very different kinds of events during Songkran: serene traditional ceremonies at temples and crazy, country-wide water wars. 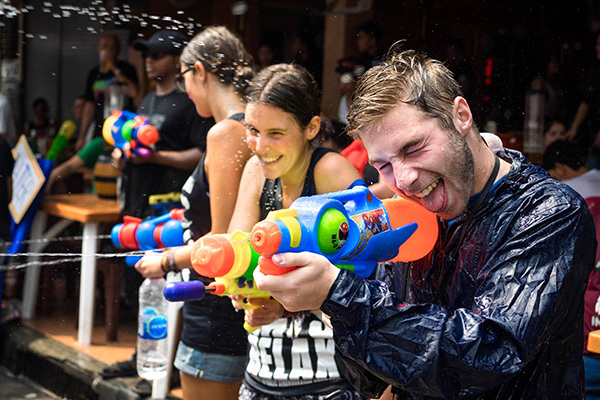 Songkran Festival takes place during April 13th-15th, and Chiang Mai has a reputation for being the funnest city where to celebrate. 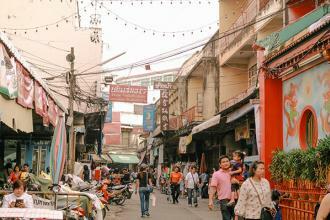 The biggest parties can be found at Thapae Gate on the eastern side of the city. 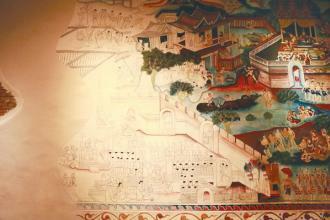 There, you will find several stages set up and an open-air food market. 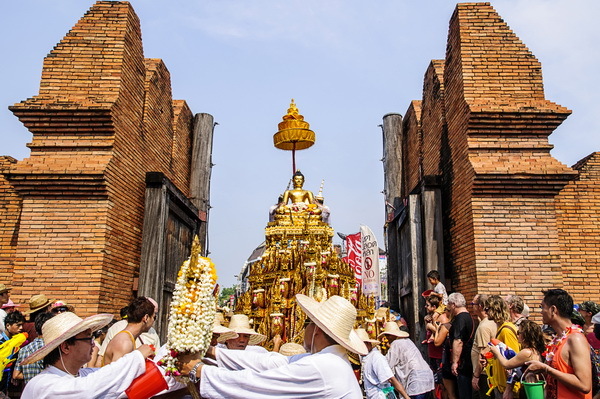 This is also the scene of special performances including the Miss Songkran Beauty Pageant, Chiang Mai’s Walking Street Market and the procession of Phra Buddha Sihing to Wat Phrasing (see detailed schedule page 41). Maya Store, Central Festival as well as Think Park will be having great parties as well: watch out for free concerts and foam parties. 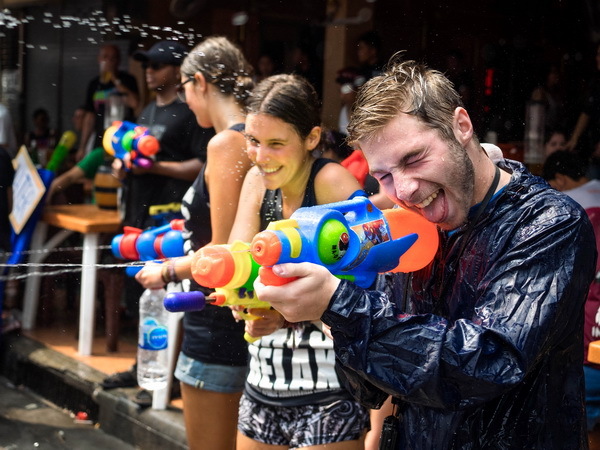 Fun is actually only one aspect of Chiang Mai Songkran. Locals respect traditions: they proceed to various ceremonies at temples and show their respect to elders by pouring lighly fragranced water on their palms. 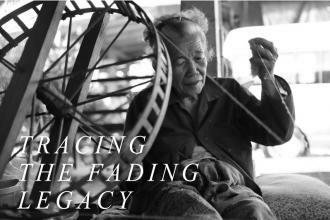 When walking through the streets of Chiang Mai during Songkran festival, don’t miss witnessing two beautiful traditions: the making of sand chedis and the ceremonial “tung” flag offerings in temples. 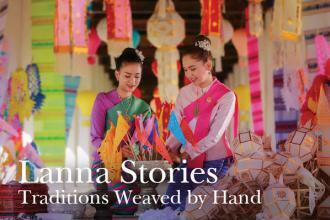 These traditions date back over centuries and remain part of Lanna beliefs and culture. 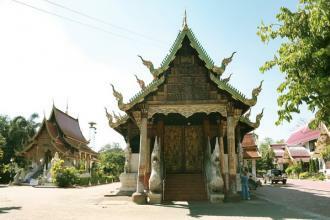 Chiang Mai has a reputation for being the most unique and fun city where to celebrate Songkran, one of the top-five festivals in the world. Bangkok’s parties may be the biggest and Pattaya’s are the longest, but nowhere else sees as much beautiful traditions and water flying as Chiang Mai. 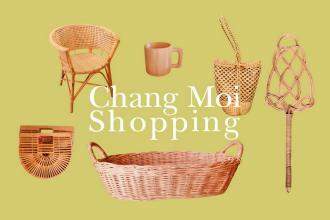 It is definitely an event not to be missed.